Click here to view the digital project 'Boarding Schools and the School to Prison Pipeline'. 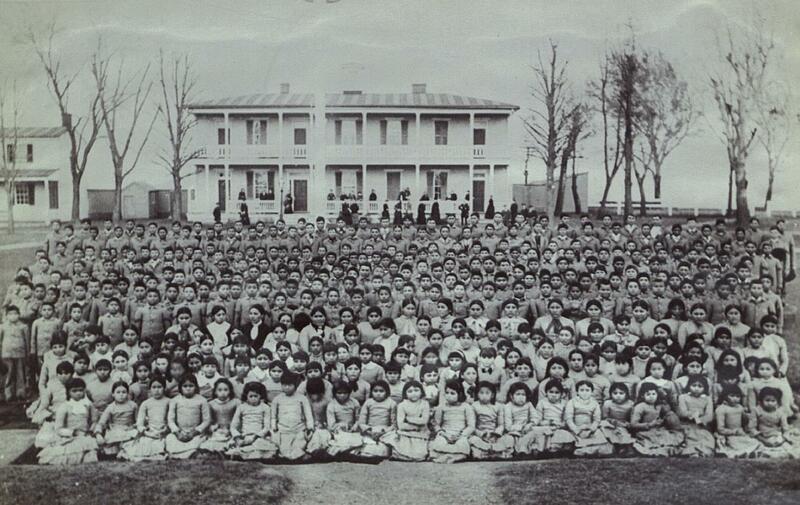 Indian boarding schools were a tactic of colonization. Their effects can still be felt today. Their purpose was to strip children of their native culture by prohibiting native language, clothing and spiritual beliefs. Currently, Native Americans make up a little more than 1% in Minnesota's population but represent almost 10% of the prison population in the state of Minnesota. A long history of colonization, such as the establishment of boarding schools and racist policies, were intentionally created to assimilate and displace Native Americans. Mass incarceration and the criminal justice system are the continuation of colonial powers meant to control and remove the original people of this land. Today in public schools, Native students do not receive the support that they need in light of this violent history and because of it are at a higher risk of being fed into the criminal justice system.